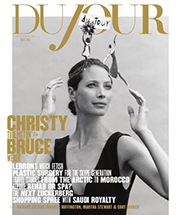 DuJour is the luxury magazine that makes no apologies for its exquisite tastes. The magazine promotes and revels in the intoxicating lifestyles of the rich and famous. And does it with style and class. Since 2012, when the word magazine was becoming more and more taboo, DuJour burst through the publishing door and dropped a print diamond in the middle of a plethora of pixels. And the man who stepped over that threshold and brought the magazine to the targeted audience with a smile and a flourish was Jason Binn. Jason has been in the publishing business for almost 25 years, so he knows something about magazines and magazine brands, having launched Ocean Drive in 1993. 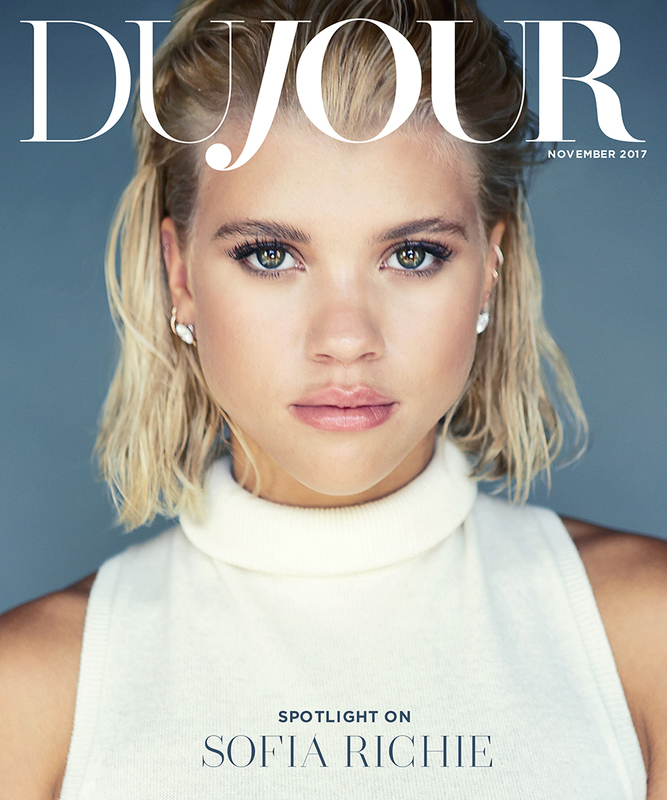 But with DuJour he has tapped into a very elite market that appreciates his efforts of bringing them a quarterly magazine and a digital monthly. I spoke with Jason recently and we talked about what he feels is and will continue to be a hot topic in the months and years to come: staying in front of your audience both online and offline, playing that dual role. And so far, DuJour is everywhere their readers want them to be. And that’s exactly the idea. So, with the confetti and pomp that Jason’s DuJour cover parties are known to feature, I bring you the Mr. Magazine™ interview with a true entrepreneur, a man who believes that if it doesn’t come to life, it just won’t work, Jason Binn, CEO/Publisher, DuJour magazine. On how life changed for him as a publisher/CEO of luxury magazines since his launch of Ocean Drive magazine over 20 years ago: Having the opportunity to launch a multi-tier platform; a digital, print, hybrid publication that was in a sense responsible for getting the audit by BPA for my digital distribution, and leveraging the data and transparency of accessing the most affluent individuals in 10 markets that are responsible for the affluent consumers and/or the majority of the sales and purchasing power, was amazing. It was a great time to evolve, not just personally, but as a business. On what he has learned in his almost 25 years of being in the publishing business: I learned that while everyone is playing so many channels, everyone is also chasing their consumers and ways to message the audience, but when I go back and look at the evolution of media and social media, I look at how people feel content. And whether it was 1999 when it was an advertorial, or 2000 with Myspace, or 2001 with QR codes, or even 2002 with Google+, or 2004 with Twitter; Tumblr in 2007, or Pinterest in 2010, and native advertising content just a few years ago; you learn that you are in control of your audience and your messaging. And your success is to maintain and retain your audience and build your community. On why he thinks no one has ever been able to do what he does with the cover parties, events and the success of DuJour’s glitz and glamour-type business model: I think people try to do it, but I think it’s no different than the business model of distribution of content and leveraging your platforms. If you look on DuJour.com at our media kit, we have these robust channels, and what I’m doing today through my social distribution, whether it’s our million followers – and by the way, Departures has 34,000 followers on Instagram, Robb Report has around 60,000, and DuJour has 60,000 , so between Robb Report and Departures, that’s 100,000 followers. And those businesses have been around for 100 years. On whether DuJour is a reflection of himself: You see the people. Our job is to access and make these people accessible to our readers and consumers. The amazing thing about DuJour now is that everybody who gets the magazine and opts in on and offline, self-collected; those people also get to be a part of our community and our events. And when we do events, whether we have 100 people or 200 people, or 30 people, I always know those people are the best potential audience for our clients, because they have the three highest filter-checks that exist today with the most prominent and prestigious data mining companies. On the biggest challenge that he’s facing today and how he plans to overcome it: To keep going deeper into the mindset, lifestyles and behaviors of that one-percent that we own. To constantly communicate and win them over and make them partake in responsible and more meaningful ways, so our advertisers can communicate their brands or their messaging, or expose their products to these people. We’re going deeper into the one-percent and evolving the platforms more and more. On anything he’d like to add: It’s important to be a dual audience, lifestyle magazine today that focuses on a fashion issue, an arts issue, and a music issue. When you’re a lifestyle and you’re focusing on fashion, art, entertainment, accessories; you have all of these constant columns on and offline. And you’re thinking toward a dual audience and it’s great to be in their homes and invited to sit on their coffee tables, because yes, today, there aren’t as many magazines in people’s homes. And to be invited and accepted into their homes, and to be a magazine that caters to all, 80 percent of our readers are female, but we still walk a very responsible line, so that it is something that men and women can enjoy in their homes and that speaks to everyone. On what he would have tattooed upon his brain that would be there forever and no one could ever forget about him: When it comes to DuJour, my work or my art, I’m a passionate, engaged and responsible entrepreneur. On what someone would find him doing if they showed up unexpectedly one evening at his home: For me, it’s work and family. When I’m not working I’m at home with the kids and the family, and that’s it. To me working is playing. I enjoy what I do. I’m on the frontline with my team. And I think that’s important today. A lot of people hide behind their titles or their businesses, and then there’s people who go out there and really fight for what they believe in and what they have. And I have been fortunate enough since 2012 to have people want to go on this mission with me, this journey. And win. And we only win. On what keeps him up at night: I just want to make sure we’re always ahead of the competition. It wasn’t any different than when I started Niche Media. National advertisers didn’t do regional; they just didn’t do it. And they didn’t do a network in markets that multiple magazines were in for many years. And redefine it and see where those city magazines ended up later in the game. It’s great to know that what you do has purpose and that it has staying power. We’re not here to do what everyone else is doing, because that wouldn’t make us different. And now the lightly edited transcript of the Mr. Magazine™ interview with Jason Binn, CEO/Publisher, DuJour magazine. Samir Husni: You’ve come a long way since Ocean Drive magazine, so between Ocean Drive and DuJour; how did life change for you as a publisher/CEO of luxury magazines? Jason Binn: I was very fortunate. Do you know many luxury magazines that launched in 2012? Samir Husni: (Laughs) I think I could count them on one hand. Jason Binn: Having the opportunity to launch a multi-tier platform; a digital, print, hybrid publication that was in a sense responsible for getting the audit by BPA for my digital distribution, and leveraging the data and transparency of accessing the most affluent individuals in 10 markets that are responsible for the affluent consumers and/or the majority of the sales and purchasing power, was amazing. It was a great time to evolve, not just personally, but as a business. Just because back in the old days when I first started, data was leveraged to intellect with things and learn about homes, etc., eventually we’d get to know their names. But in 2012, I had a whiteboard and I was able to build from the bottom up and look at what the advertisers and the readers wanted. And back then, in 2012, when I called the Magazine Publishing Association, and I wanted to find out what the recommended frequency was, or the least amount of frequency you could publish, and they said to me quarterly, if you had won awards and accolades, which we had the hottest magazine by Adweek and we got the Webby Award, 60 countries, 50 states, 14,000 applicants, and we won the Webby for homepage and navigation, beating out Google and Condé Nast. So, it was time to create something that didn’t exist, that conformed to what 2012 was bringing on and what 2017 today has really embraced, which is publishing a high-quality product on the highest-quality paper stock; a quarterly book. Obviously with print, no one can deny or challenge that print is really where the majority of the ad revenue still comes from. And I don’t believe, whether it’s the bigger media companies or whomever, they are feeling anything different. And there’s the power of print to create your community, your brand, in a physical and meaningful way. And there are other platforms, no different than maybe a Refinery29 or Vice, where these platforms complement each other and are strategically aligned so that you’re messaging people through newsletters, data mining, events; through content and photography. It just becomes more channels and creates more communities and interaction and experiences with your readers and consumers. Samir Husni: In 2018, you’ll be celebrating 25 years in the publishing business, that’s when you launched Ocean Drive in 1993. Then 20 years later came DuJour; you’ve set a standard for luxury magazines, both in print and digital. What have you learned in those 25 years? Jason Binn: I’ve learned that the rich stay rich or get richer (Laughs). I learned that while everyone is playing so many channels, everyone is also chasing their consumers and ways to message the audience, but when I go back and look at the evolution of media and social media, I look at how people feel content. And whether it was 1999 when it was an advertorial, or 2000 with Myspace, or 2001 with QR codes, or even 2002 with Google+, or 2004 with Twitter; Tumblr in 2007, or Pinterest in 2010, and native advertising content just a few years ago; you learn that you are in control of your audience and your messaging. And your success is to maintain and retain your audience and build your community. And quarterly magazines if done right, are timed with the seasons: winter, spring, summer and fall. And being a lifestyle book, to be invited into a home, to the opt-in selected audiences that we have, where each recipient has opted in for the digital with the print. But if they opt out, we don’t send the print. So, we have this engaged audience on and offline, and we leverage our platforms; we don’t sell against them. We don’t break it up by digital emails, social media, events; we don’t breakdown those channels of distribution and different P&L’s or revenue streams. We actually work hard to integrate them all and create a budget that has monthly or quarterly billing where these assets are laid out and clients can use it at their leisure when they want to. I think the more that we can put our business model and audience, and shape it around the readers and the clients, and then give them the affordability and access to choose those assets when or how they want over the fourth of their contractual agreement, it gives the advertiser more freedom and flexibility. Because what’s going on today is everyone is creating assets for distribution no differently than someone who creates a movie and is looking for distribution. And the luxury brands’ clients are distributing these assets through their own distribution channels, whether it’s their websites, or their social media outlets. And what I’m seeing is that they’re getting zonked after the first eight months or a year; they don’t really see a building of their community or audience on or offline. They keep distributing their own assets through their own channels and messaging the same people over and over again. And what DuJour has become to many clients is a distribution channel of content and assets. I’m not here to create native content for our clients. I’d rather distribute content through our unique channels that’s on-brand with them, and what we do. I think that’s the point of differentiation. I also think a point of differentiation in where we’re heading is print and digital need to be bundled, which is how DuJour has been packaged since its launch in 2012. We were bundled up into one buy. Or you can buy us individually, but 80 percent of the clients that came in our first issue in 2012, bought the combination buy of print and digital. And to me that was a revelation. There were only a handful of clients that just said we don’t want to be in the digital sense. I also find that our digital lines push content out sooner and aren’t beholden to print when it comes out. Many times the magazine’s stories come out and they’re great, but they are great sooner online. Sometimes the companies are competing with themselves. It’s no different than a publisher or an editor, knowing who’s on the cover and how to market those people, whether through cover parties or through integrations that are meaningful. Where the advertisers can connect with the consumers in a social environment and be a part of what that media company does. 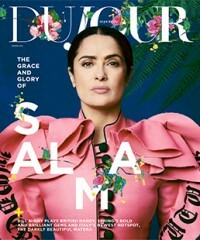 Samir Husni: Many people say that you’re the whiz of social parties around the magazine and having all of the events; can DuJour’s model be duplicated or does it have to be Jason Binn that makes it work? Why do you think no one else has succeeded in doing what you do? Is it because of you and your “Binn” there skills? Jason Binn: I think people try to do it, but I think it’s no different than the business model of distribution of content and leveraging your platforms. If you look on DuJour.com at our media kit, we have these robust channels, and what I’m doing today through my social distribution, whether it’s our million followers – and by the way, Departures has 34,000 followers on Instagram, Robb Report has around 60,000, and DuJour has 60,000 , so between Robb Report and Departures, that’s 100,000 followers. And those businesses have been around for 100 years. What that shows me is a rich desire or appetite on social and Instagram with affluent people, especially when their brands are on-brand on and offline. I think very key to your business is being defined on and offline. Not moving your message or your audience on your different platforms, which I believe is one of those things that helps make these events get bigger and better every year, and makes us keep doing them. The other thing is DuJour’s knowledge; the business model that I created at Niche and the mindset when I was there; everything needs to come to life, else it doesn’t work. It’s a very simple idea. Everything must come to life. I don’t care if it’s bringing the people on the pages to the parties; I don’t care if it’s posting the screenings for the films of the celebrities on the cover; whatever it is. Editors have to think like marketers. We spend millions of dollar a year, millions, on creating great content. If we don’t bring it to life, whether it comes off the screen, the mobile device; off the magazine, whatever platform; if we don’t bring it to life it’s not successful to me. It’s not a win. And my editors have always known that from day one. Samir Husni: Are your magazines a reflection of yourself? Do I see Jason on the pages of DuJour or on the pixels on the website’s screen? Jason Binn: You see the people. Our job is to access and make these people accessible to our readers and consumers. The amazing thing about DuJour now is that everybody who gets the magazine and opts in on and offline, self-collected; those people also get to be a part of our community and our events. And when we do events, whether we have 100 people or 200 people, or 30 people, I always know those people are the best potential audience for our clients, because they have the three highest filter-checks that exist today with the most prominent and prestigious data mining companies. They have a million dollar-plus home, $250-plus income, and they have a net worth of $5 million. A consumer today lives in the money, makes the money, and has the money. They’re not saving up to buy a home; they don’t have money in the bank to earn income off their investments; these are people who can go on their devices and buy products. And that’s a unique thing. If we talked about building something like that today; I definitely would question myself today. Would I be able to do today what I did in 2012, because 2012 was such a point of challenges for print. And so when people ask what’s going on today, 2012 was worse. No one was even talking about magazines. All of the big layoffs were coming the year before and into 2012. All of the big layoffs. It was the first time that people had said the big companies were human and actually could bleed. So, for me today, what I see now is I’m going deeper into the one-percent; I’m getting to know them better. And I see that the other media companies are going wider and farther out there to reach more and more people through more and more channels, which has become an exercise where I know 95 percent of the people in our universe. So, our wheelhouse between all of our platforms is six million people a quarter. That’s using the magazine, the quarterly rhythm of the magazine, and then plugging in all of the newsletters, direct mail, and email. We have 400,000 people that are responsible for over 70 percent of the nation’s wealth and purchasing power. It really does come down to, 25 years later, the one-percent. It comes down to a small select group of people and when you hit six million people a quarter for your wheelhouse, that’s 24 million people a year. So, I’m not reaching what a traditional national book has of 250 million maybe over the course of a year, but I know out of 24 million people, 95 percent of those people could actually afford the products and services that we do business with. Samir Husni: What’s the biggest challenge that you’re facing today and how do you plan to overcome it? Jason Binn: To keep going deeper into the mindset, lifestyles and behaviors of that one-percent that we own. To constantly communicate and win them over and make them partake in responsible and more meaningful ways, so our advertisers can communicate their brands or their messaging, or expose their products to these people. We’re going deeper into the one-percent and evolving the platforms more and more. Today to be a lifestyles, dual audience magazine, and have access to the homes and coffee tables of these people, we break it down this way – Tier-One distribution: Miami, New York, L.A., and Chicago., which gets anywhere from 15 to 20,000 books direct mail. Tier-Two markets are: San Francisco, Dallas, the markets you would assume, Orange County, and then Houston. The sizzle markets are Aspen during the summer and winter; the Hamptons during the summer and fall; and Palm Beach during the spring and winter. So, it’s not super-complicated, and everything we do is transparent, so what you see on the magazine’s spine are the markets we’re in. The business model hasn’t been touched since we launched, which to me is a good thing. The business model we set and announced in the summer of 2012 and went live in the fall has not changed course. I was fortunate enough to have access to these people who have really wanted to be a part of our world. And it’s been accredited and documented all over, so I don’t really know who does what I do, because it’s kind of something that I had the luxury over the last 25 years to understand each market and the styles and sensibilities of these communities. So, 70 percent of the magazine is national and 30 percent is the New York City section. What I’ve learned is 47 percent of the people that go to Miami are from New York. Aspen gets people from Dallas, Chicago, Houston, and New York. The Hamptons, that resort market gets Philly, Boston, and that area, the East Coast and New York City and Miami. And then Palm Beach gets a different crowd, it’s a very ancestral kind of community, where people are first cousins or second cousins. So, those 100 or 200 influencers are the ones that move each market. Their families and/or themselves have primary, secondary and third homes in these markets. And the news that we cover comes a lot from New York and L.A. These seasonal markets and second Tier markets, there’s news, but not a lot of it, but we’re responsible to cover each market in our DuJour cities. Obviously, the Tier-One cities get more coverage; Tier-Two markets get less; and then the sizzle markets we cover during the seasons. It’s a glocal magazine. It just feels to me like a very responsible magazine that’s engrained in these markets editorially and promotionally. Jason Binn: It’s important to be a dual audience, lifestyle magazine today that focuses on a fashion issue, an arts issue, and a music issue. When you’re a lifestyle and you’re focusing on fashion, art, entertainment, accessories; you have all of these constant columns on and offline. And you’re thinking toward a dual audience and it’s great to be in their homes and invited to sit on their coffee tables, because yes, today, there aren’t as many magazines in people’s homes. And to be invited and accepted into their homes, and to be a magazine that caters to all, 80 percent of our readers are female, but we still walk a very responsible line, so that it is something that men and women can enjoy in their homes and that speaks to everyone. Younger people want to feel a little more sophisticated, and sophisticated people want to feel younger, and we’re fortunate enough that we own DuJour, the name, on every level. 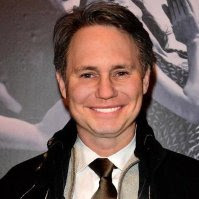 Jason Binn: When it comes to DuJour, my work or my art, I’m a passionate, engaged and responsible entrepreneur. Jason Binn: For me, it’s work and family. When I’m not working I’m at home with the kids and the family, and that’s it. To me working is playing. I enjoy what I do. I’m on the frontline with my team. And I think that’s important today. A lot of people hide behind their titles or their businesses, and then there’s people who go out there and really fight for what they believe in and what they have. And I have been fortunate enough since 2012 to have people want to go on this mission with me, this journey. And win. And we only win. Jason Binn: I just want to make sure we’re always ahead of the competition. It wasn’t any different than when I started Niche Media. National advertisers didn’t do regional; they just didn’t do it. And they didn’t do a network in markets that multiple magazines were in for many years. And redefine it and see where those city magazines ended up later in the game. It’s great to know that what you do has purpose and that it has staying power. We’re not here to do what everyone else is doing, because that wouldn’t make us different. By looking at the playing field of lifestyle magazines at the big media houses, there’s only three or four of them in the country, and when I look at the market, it comes out at the end of the day, 25 years later, those top markets that I’ve been fortunate enough to work and play in, it’s great that I was able to evolve my brand and put out the highest-quality content on the highest-quality paper, and work with people that I’ve never worked with before. Being able to work with Bruce Weber or Peter Lindbergh is another level. Even the guy in the magazine with the navigation bars at the top and the page numbers on the side, where your fingers hold the magazine; all those little things, those details, are important. Why are the page numbers on the side? Someone a thousand years ago put them on the bottom right. It’s almost like the monthly magazines come out two weeks before the month. September comes out in November. My digital monthlies come out on the first and goes through that month, whether it’s January or February; it’s the entire month. And today to be a monthly digital with a quarterly print is exciting too, because you want to keep active and engaged with your audience, and to be able to have this audience that we talk with every month, and do covers and activations; it just keeps your brand out there and keeps people talking about what you’re doing. And then we do the quarterly print, which wraps ourselves around that season. I think many magazines, as we have seen, are reducing their frequency, but they’re not leveraging that distribution of content and creating a digital magazine every month. Magazines were trying to sell digital subscriptions on their own and charging premium for them in 2012, and then they were charging print a different price, and then they did the combo, and now they just do all access and wrap it all in together. I think people are still trying to find their way. And I believe we’ve found our way and we just keep beating to that beat. Today, being in a controlled environment and dictating and shaping around the right audience is important. We’ve laid out the map and we’ve built it and people have come and embraced it.